If you missed #37 click here. Best Moment: Simply finding new quests and completing them, they're all fun in different ways. 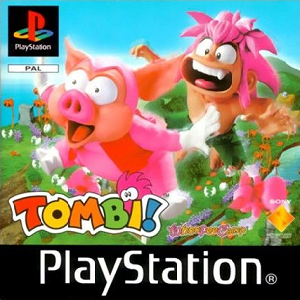 Tombi! 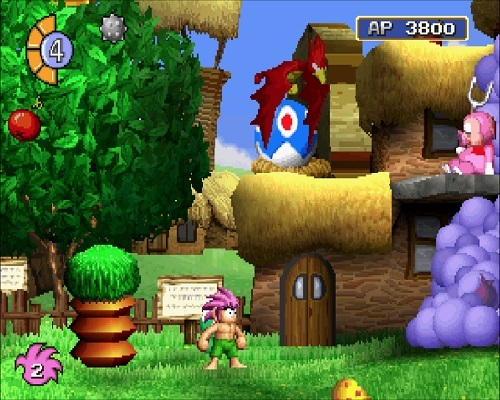 is perhaps more well known as Tomba! in the US, but either way it never got as popular as it deserved to be. The game was met with critical acclaim, but sold poorly, and then they took their chances on a sequel, which too got critical acclaim but sold even worse. Eventually the company disbanded and the game has been largely forgotten about. To the point that if you want to buy this game now, good luck, as you'll be lucky to find it for under £100 it's that rare. But it was a GREAT game. I confess, I never did finish it, but what I did play of it I absolutely loved. This was possibly the first game I played that allowed you to do quests that unlocked further quests to then do even more quests. You know, like Elder Scrolls Skyrim and other RPG games? The difference being this is a platformer, and it was 1997, and not many games had done this with this style of game before. It's a truly unique platformer and the quests were all very well done and the game really did deserve far more attention than it got. I'd suggest you buy it but as I said, it's so expensive to buy now, so good luck! Ever think, "hmm, what did come in at #35"? If so click here!